Getting the house you want at the price you want can be tricky – even in a buyer’s market. Sometimes a home seller just isn’t willing to budge on price. Don’t despair! There are other ways to sweeten the deal and drive it to close in a buyer’s market. Here are seven tips on how to negotiate with a home seller. Learn as much as you can about the motivations and situation of the home sellers. For instance, if they’re living in the house and they need flexibility around the closing date, you could offer to be flexible on closing if they move on terms. In the case of estate properties, take some time to learn about the heirs – where they live, what kinds of houses they live in and whether or not they are in legal or financial trouble. It sounds creepy, but most of this information is available for free online once you have the names of the home sellers. You can also research obits and marriage documents that are in the public domain. The more you know, the more leverage you have when it comes time to negotiate. Work independently or with your agent to research comparable sales in the immediate area of the home, then make an offer at least 10 percent below what the market says it’s worth. Dig into the details to figure out how the home you want to buy stacks up against comps, and look for ways to communicate the legitimacy of your offer or requests by backing it up with data. For instance, if all comparable sales have a pool, waterfront property or updated kitchens and the house that you want doesn’t, point that out. Use this data to justify your offer or other requests to create value if they won’t budge on price. If there are things that you want or need to feel comfortable with the deal, ask for them. The home seller can always refuse, but if you don’t ask, you don’t know. If you’ve created leverage by learning about the property and the seller’s situation, you can use this information to ask for things, such as repair of items found during the inspection period or appliances that weren’t listed on the original contract for the house. Don’t make assumptions. Even if your realtor balks at the idea, always ask. The faster a deal gets done, the more quickly the home seller can cash out their asset and move on with life. Homes that remain on the market or unsold for extended periods of time become costly to sellers (especially if they’re unoccupied) and start to decline in condition. Offering a quick close builds confidence with the seller as it means that there’s less time for things to go sour with the deal. If you’re situation allows for this negotiation tactic, you might be able to either lower your price or get other benefits in exchange. If you want to make a reasonable but low offer on a property, consider the pros and cons of presenting an “as-is with right to inspect “ offer. The upside is that you can walk away from the deal if the inspection frightens you. The downside is that what you see is what you get, leaky plumbing, termites, mold and all. If you really want a property and are willing to take it as-is, but aren’t really comfortable with the seller’s floor price, ask for the furniture or other non-fixed assets that make the deal more palatable such as a boat or fitness equipment. If you’re apart on price for the home itself, one way to get around the cash crunch and get a deal done is to meet the home seller on price, but ask them to cover all or part of the buyer’s closing costs. Some home sellers might balk, but if they’re able to do this and want to finish the deal with a sale at a particular price point, this technique can work. Buying a home can be an intensely emotional experience, but at the end of the day it is really just a business transaction. This means you can’t get attached, and you have to be willing to walk away if you’re unable to negotiate with a home seller or if the seller becomes unreasonable. If the seller’s agent senses desperation or over-eagerness on your part, they might interpret that as a signal that they have the upper hand. Silence can be your friend. Hold your cards close and always be willing to walk away. With the downturn in the economy, many homes have been repossessed or are known as distressed properties. Bidding on a repossessed home can be a great value and save a prospective buyer anywhere from 10 to 70 percent because banks or government agencies are eager to unload the properties. 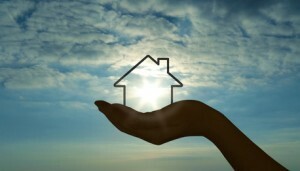 However, when bidding on a repossessed home, the buyer must remit all funds at the time the auction closes. Unless you have a large cash reserve or are able to arrange a large reserve from your lender in advance, bidding on a repossessed home or distressed property may not be possible for the average consumer. Bidding on a repossessed home is also a challenging process that requires extensive research, so some buyers may want to rely instead on the expertise of a real estate agent. Through a trustee/lien. All sales are made public knowledge. Check your newspaper or contact your local county courthouse. Before actually bidding on a property, you may want to attend an auction or watch a webcast and see how they operate. Do not bid too early or you will only push the price higher. Online. You can also bid on repossessed properties online. Try the websites of Fannie Mae, Freddie Mac, credit unions and major banks. eBay’s real estate section also offers prospective homebuyers the opportunity to bid. If bidding on eBay, you need to know whether you’re bidding on just the down payment or the total amount. Read the fine print, and do your research before bidding. When you’re ready to bid, contact the lender and make an offer. Read below how to determine the market value and reduce the sales price that’s listed by up to 40 percent. If that offer is declined, resubmit an offer of 30 to 35 percent below market value. Once you have located a repossessed property you’re interested in bidding on, you need to research the property. Do a title search so you can determine if any back taxes or a second or even third mortgage are due on the property. The winning bidder will be responsible for all debts past due. You will also want to determine the market value of the property. Look online at your local property appraiser’s office or tax collector’s office. Find recently sold properties that are similar. You can also consult a real estate broker to do this research for you, but they will charge you for this service. 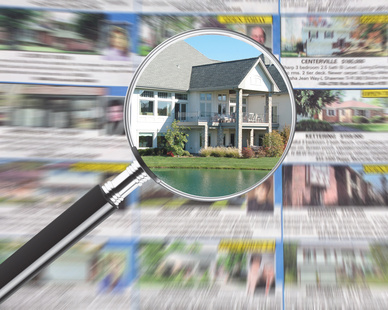 Just as important when bidding on a repossessed property is to inspect the property. Many repossessed homes or distressed properties have fallen into disrepair. If the home needs a lot of work, get an estimate from a reputable contractor. Too many repairs and the home is no longer the bargain you are looking for. Bidding on a repossessed home is challenging and time-consuming. Buying a home is huge investment. Many buyers choose to use a real estate agent to do all the research and background work for them. If this is the route you would rather take, make sure you look for a CDPE (certified distressed property expert). These real estate agents have been trained and certified in dealing with foreclosed or short sale homes. Should you Bid on a Repossessed Home? If you have the time and knowledge it takes to do the background research on a repossessed home, you could save yourself a great deal of money off the market value of the home. Keep in mind, however, that you will need to add the cost of any repairs to the home to your bid in order to determine the true savings. If you’re a DIY (do it yourselfer), the savings could be substantial. Doing your homework on the property before bidding is imperative. In this new age of foreclosures and short sales, more and more homes are offered “as-is.” For the prospective homebuyer, it’s now essential to understand what this means. Buying a home as-is sounds like it would be a disadvantage, but it also has a number of benefits that could play to your favor. 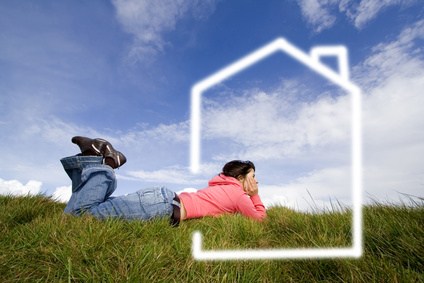 First, what does it mean to buy a home as-is? It means that you are buying a home exactly in the condition that it appears, and the sellers aren’t making any warranties about the condition of the property. If there are things wrong with the house, from cosmetic damage to major structural issues, they will be the responsibility of the buyer to repair. In other words, as the house’s new owner, its problems are your problems. Homes that are in foreclosure and short sales are typically sold as-is. In both cases, the seller is taking a loss on the property and understandably doesn’t want to sink more money into making repairs. In the case of foreclosures, the seller (usually a bank) hasn’t lived in the property and isn’t in a position to know everything that’s wrong with the house. Since foreclosures and short sales frequently occur below market value, it’s understood that the buyer will have to repair any issues at his or her own expense, adding to the costs involved when buying a house as-is. When houses are considered teardowns or are otherwise in poor condition, it is common to present a purchase offer that is as-is. This communicates to the seller that the buyer is going to invest in the house and expects a lower price because they’re willing to assume full responsibility for everything that’s wrong with the house. For the same reason, it is also common to present an as-is offer when bidding well below the asking price, even if the house being sold is in good condition. In these instances, it indicates that the buyer has fewer hang-ups that may prevent a deal from going through. It also means that there won’t be ugly or expensive surprises for the sellers if issues are uncovered during the inspection period. Just because a home is offered as-is, it doesn’t mean that the seller can lie outright as to the condition of the property. Regardless of the terms of sale, the seller is obligated to disclose any major issues with the house. Even if you purchase a home as-is, a major undisclosed issue can be found to be the responsibility of the seller, provided he or she knew of them prior to sale. When a house is being offered as-is, there is always concern on the part of prospective buyers that something is wrong with the house. Once your offer to purchase a home as-is has been accepted, it is still essential to have a full inspection and to use your inspection period wisely. With the inspection report in hand, qualified tradesmen or contractors can come to the property to present you with bids to fix the issues that were uncovered. This will let you know exactly how much repairing your new house will cost and allow you to assess the purchase. Even if your purchase agreement for a home states that you’re buying the home as-is, there is no reason that you can’t go ask the sellers to make repairs. If it’s an older home, you’ll certainly have uncovered things that they failed to disclose and some things that may cause the house to deteriorate if not addressed promptly. Sellers are not obligated to fix these issues. That said, pointing out nicely that they are sticking points in advancing the deal may encourage them to repair a few outstanding issues or provide a credit to you at closing. Buying a house as-is with right to inspect can be a hornet’s nest, but most contracts are designed with clauses that allow the buyer to exit an agreement if the property proves to be uninhabitable or simply unappealing after the inspection period. Ultimately, this deal type has few drawbacks and can be a useful approach for getting a great deal on a home. 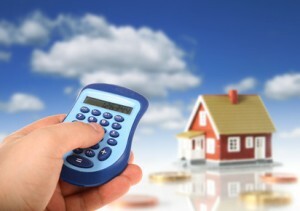 Just be sure to budget carefully and consider all the costs involved when buying a house as is.